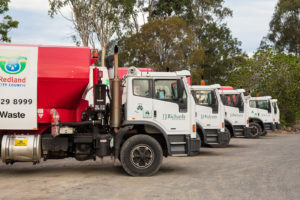 The Brisbane based technology provider launches its business, specialising in mobile vision and communication solutions for road transport and heavy machinery. Targeting road transport and heavy industries, Black Moth introduces its business with a new website and industry offerings at www.blackmoth.com. Black Moth’s products and services help to reduce operational risk and improve worksite safety. Customers in industries including mining, construction, cash logistics and transport benefit from Black Moth’s innovative systems and their easy integration into existing fleet applications. Restricted visibility is one of the biggest challenges operators of heavy machinery face. Increased awareness has a positive effect on drivers, their direct vicinity, and reduces incidents along with resultant claims. With the use of a Black Moth vision system drivers gain 360-degree visibility without blind spots. In addition fleet operators are able to remotely retrieve captured footage on demand to investigate incidents or for monitoring purposes. In 2012, Black Moth commenced the design and development of the vision platform to meet requirements for vehicles that operate in demanding environments. With a focus on quality and reliability, the company chose to develop and manufacture all products exclusively in-house. “We are proud to offer ‘made in Australia’ products and each of them reflect our emphasis on quality materials and premium workmanship,” says Scott Gemmell, CEO of Black Moth. Today a growing team of internationally experienced industry experts, engineers and industrial designers enables Black Moth to design and build solutions locally. The result is extremely rugged and durable products; all tested and field proven for temperature, vibration and Ingress Protection to withstand the toughest conditions. Due to proximity to customers, the technology provider also offers top level service and support. In 2014, Black Moth partnered with J.J. Richards & Sons, the largest privately owned waste management company in Australia. J.J. Richards was looking for a suitable operational computer platform, combined with a powerful vision system for their fleet of over 1,500 vehicles. Existing technology available in the market was inadequate; either due to poor quality, lack of capability or difficulty of integration. The company sought the assistance of Black Moth to develop a unique, integrated platform. This resulted in a partnership, which allows Black Moth to use J.J. Richards & Sons vehicles as a live test and development fleet. “The Black Moth vision system represents the ultimate solution to our problems. We finally have a system that not only has all of the features and capabilities we are looking for but combines them into one integrated system – including the ability to run our own operational software,” says Matthew Schoemaker, CIO of J.J. Richards & Sons. Moth Black Moth designs and builds intelligent mobile vision and communication solutions for transport and heavy industries. Based in Brisbane, the technology provider drives innovations to enhance worksite safety for heavy machinery. A dedicated team of industry experts, genuine entrepreneurial spirit and cutting-edge technology enable high-end solutions to support operations in diverse industries. To deliver extremely robust and durable products, Black Moth banks on high-quality standards and exclusive in-house development. Customers benefit from tailored solutions, exemplary service and a true partnership approach. For more news and information about Black Moth, please visit www.blackmoth.com.